While we love a traditional wedding cake, lately we are seeing a trend of cake alternatives. Instead of having cake for everyone, bride and grooms are opting for mini desserts to offer a variety of options. Cookie and milk shots, cannoli's, brownies, macarons, you name it! If you still want to capture 'cutting the cake' moment, you can always do a small cutting cake for the two of you to cut into for pictures. 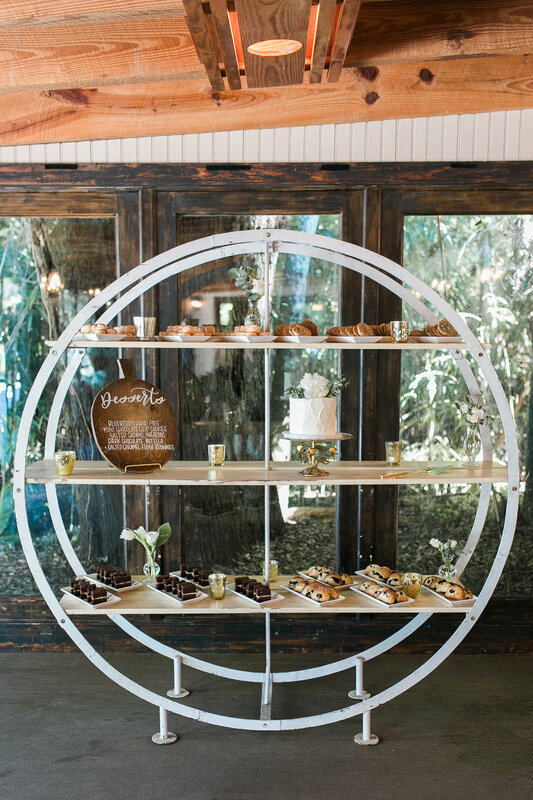 Here are some of our favorite mini dessert displays!